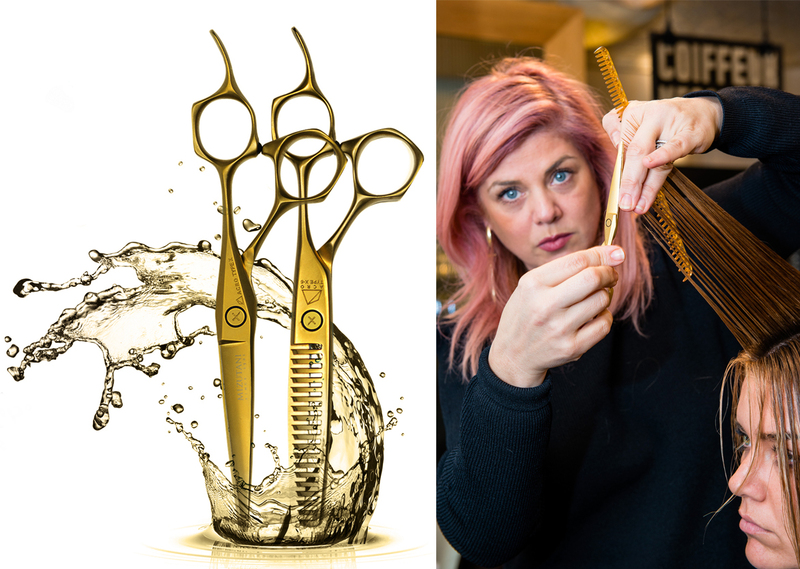 The Renya Type X Scissors in Gold are designed for a broad variety of cutting tasks and have been so popular that we may consider a second limited edition release. The Renya Type X Scissor was designed as an object of timeless affection, while maintaining the classic original Mizutani design. This model has superior blade geometry and handle ergonomics. The shape of the blade and the way it fits comfortably in your hand gives the Renya Type X its outstanding features. The Renya Type X model has evolved into the ideal balance so you can enjoy its unique edge, which is even sharper than it looks. The Renya Type X6 Thinners in Gold, are designed for their “settling” ability. These non-damaging and non-stress thinners are scientifically researched and have been developed to perfectly fulfil their unique purpose. The secret of their popularity lies in their soft cut and smooth withdrawal from the hair. In order to avoid damage and optimise the amount of hair that is cut, we’ve designed a stairway-like shape into the point of the comb blade. Because this small blade at the point of the comb blade rolls the hair as it cuts it, the Renya Type X6 achieves a natural settling feel. For users whose hands get tired, we’ve also adopted a handle design that prevents wrist/carpal tunnel issue and included off set handles.